Thanks for considering having me in to equip the saints in your area! I want to do everything to make it successful! This page has been set up to help make you successful. The following step-by-step plan has worked well. 1. Look over the topics and see which one you are interested in. 2. Go to your church and ask if there is “championing” buy-in from the pastor, elder team, other pastors, and the target group in church. 3. If yes, contact me with desired topics, the desired dates, your church location and website, your leadership responsibilities in the church, and approximate attendance, etc. A year out is not too much. I will call you back and we will start the conversation. I try and return the phone call within 24-48 hours. 4. Confirm the details with your church and leadership. 5. Start your promotion in partnership with your leadership team of your church. As a pastor I hosted successful and “less than successful” conferences at my church. The following are lessons I learned the hard way. Giving a long lead time allows you to beat the drum of advertising. Six months is usually a minimum. A year is not unusual. 2. Obtain personal buy-in from influencers before you commit. Is your pastor on board and will he promote this? Or is he just “ok” with you doing this? As a former pastor, I know I cannot throw my influence behind everything. For the maximum attendance from your church, the pastor needs to be excited, and promoting rather than just “ok” with your conference. 3. Obtain buy-in from other influencers before you commit. 4. Obtain buy-in and feedback from your church’s target audience before you commit. 5. Focus on verbal recruiting and publicity. Don’t rely too heavily on publicity vs verbal recruiting. People attend events like this because someone is championing the cause, not because of flyers and announcements. The six month lead time gives you time to generate excitement. One easy way to offset the honorarium and gauge interest is to charge a small entrance fee. People expect it and it increases commitment. If you are charging a fee for the event, give an early-bird incentive like a lower price or a give away of some sort. To help with the honorarium there might be a member of the church willing to underwrite the conference. I never want price to be an issue. Having said that I still need to eat! This is the way I make my living and a laborer is worthy of his hire. Contact me and we will talk through this. Generally, the travel time from my home, the amount of teaching, and the stewardship/size of the church and audience all play into our conversation. But the Lord provides the money so don’t let it be an issue. Do you suggest we charge? As a pastor, I used to be against charging. However, now I believe it is a God-honoring manner of putting on an event like this. Charging a fee helps a church offset my honorarium. More importantly, it helps gauge commitment from the audience. It also minimizes no-shows on the day of the event which stewards everybody’s time well. If you are concerned about those who might not be able to afford it, you can always build in some scholarship money. I am happy to help with the administration of this using Eventbrite. What do you suggest we charge? Really that is up to you. Somewhere in the $20-30 for singles and $30-40 range for couples. People can easily afford that and it shows their commitment. Most will receive some sort of handout to go with it. I also suggest that you offer an incentive for early signup. This could be a lower price or, even better, a free copy of The Disciple-Making Parent! What is the typical schedule of the seminar? Again, I will do what you want. In New England Friday night/Saturday am works well. In other parts of the country, Saturday works well. Give the ubiquitous presence of sports, some hosts are experimenting with a Sunday afternoon with lunch provided. What are your thoughts about childcare and food? I HIGHLY recommend you include childcare in the event even if it is an extra donation for the parents taking advantage of it. It removes one more barrier to people coming. And food always attracts people! I have been experimenting with mini-conferences that would be a weeknight starting at 6pm and running for several hours or for churches close by. This also works well for smaller churches when I am in the area for another larger event. What else do we get from having you in? I am happy to meet with the church leadership and answer any questions. Churches have also had me preach or teach a Sunday School for parents . Start the process by looking over the speaking events and by filling out the speaker contact form. Chap Bettis is the author of The Disciple-Making Parent: Raising Your Children to Love and Follow Jesus Christ . He also is a frequent conference speaker and the executive director of The Apollos Project, a ministry devoted to helping parents disciple their children. For the previous 25 years, he was lead pastor in a New England church plant. In addition, Chap also wrote The Donut Date Journal, Evangelism for the Tongue-Tied and The Fearless Apologetics Curriculum. He and his wife Sharon, have four adult children and reside in Rhode Island. You can find him on Twitter and Instagram @chapbettis or blogging at TheApollosProject.com. Chap Bettis is the author of The Disciple-Making Parent: Raising Your Children to Love and Follow Jesus Christ. He also is a frequent conference speaker and the executive director of The Apollos Project, a ministry devoted to helping parents disciple their children. For the previous 25 years, he was lead pastor in a New England church plant. He and his wife Sharon, have four adult children and reside in Rhode Island. 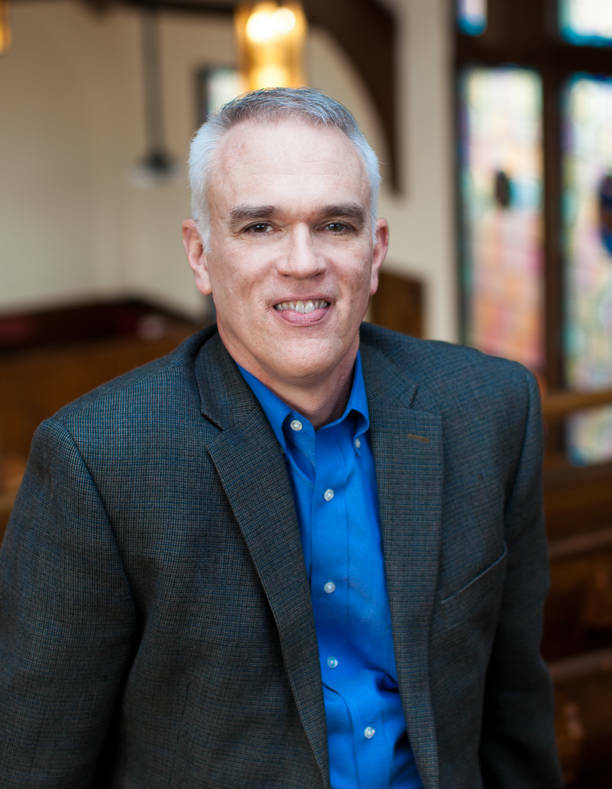 As a pastor in New England for the past 25 years, Chap understands both the word of God and the everyday issues of family life. In addition, Chap grew up in a Christian home and wrestled with questions about the faith. He also wrote The Donut Date Journal, Evangelism for the Tongue-Tied and The Fearless Apologetics Curriculum. When he is not ministering the word, Chap likes cycling, skiing, reading, and checking out Providence restaurants with his wife. You can follow him on Twitter or Instagram @chapbettis or on his blog.